Binghamton High School Pre-School, High School / Public 3 0.88 mi. West Middle School Pre-School, Middle School / Public 3 0.83 mi. Woodrow Wilson School Elementary School / Public 1 0.6 mi. Horace Mann School * Elementary School / Public 3 0.62 mi. Thomas Jefferson School * Elementary School / Public 4 0.63 mi. Seton Catholic-Central High School * Middle School, High School / Private N/A 0.75 mi. 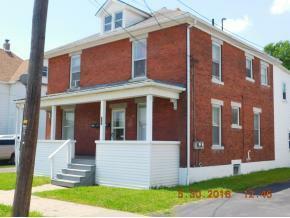 39 Charles Street, Binghamton, NY 13901 multi-family home was sold for $69,387.